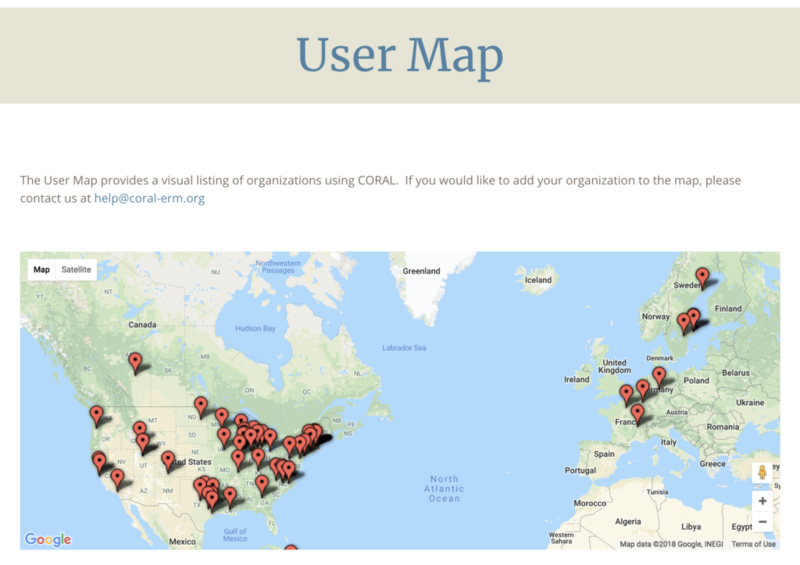 The User Map provides a visual map of libraries and organizations who are using CORAL. Since its appearance in 2010, CORAL has been steadily and widely adopted by many organizations across the world. Currently, CORAL users are distributed across four continents: North America, South America, Europe and Asia. Most CORAL users are from academic libraries with a few from the corporate world. There are public university libraries and private university libraries. CORAL supports five different languages: English, French, German, Turkish, Chinese (simplified) and Chinese (traditional). It's the great flexibility of the tool itself that brings together such a diverse community. Do you see your organization listed on the map? If not, please contact us at help@coral-erm.org to have your organization added to the map so others can find you and connect with you. Let's get connected with the User Map!